The distribution of early Anglian cremation-predominant cemeteries, represented by filled squares, plotted against Saxon artefacts of the second half of the fifth century, represented by stars, and the Late Roman provincial boundaries. 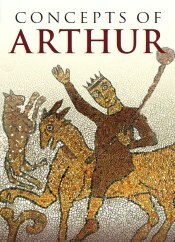 Image credit: C. R. Green; published as Green, Britons and Anglo-Saxons, 2012, fig, 21a. The above map was, of course, made using the modern coastline as a background. Whilst this perhaps enables patterns to be seen more easily and the reader to locate themselves more quickly, it is worth recalling that the landscape of eastern Britain in the post-Roman period is likely to have looked rather different to that of the twenty-first century. The second aim of this post is therefore to share another map, newly created, that is designed to give an idea of what the landscape of this region in the post-Roman period may have looked like. For the sake of convenience, it once again shows the Anglian cremation-predominant cemeteries plotted alongside the Late Roman provinces, but now sets this material against the likely post-Roman landscape. A very rough draft of a map of the likely post-Roman landscape of eastern England, drawn by C. R. Green. Dark blue represents the sea, green permanently dry land, and light blue the wetlands and salt-marshes; the siltland around the Wash is striped to reflect its low-lying nature and origin as marine deposits in this period. 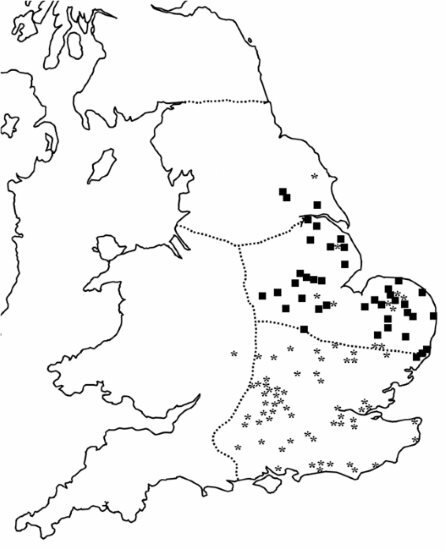 Also shown are early Anglian cremation pre-dominant cemeteries (black dots) and the Late Roman provinces (dotted lines). This image has a number of significant differences from the modern map. 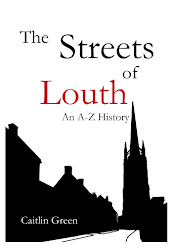 For example, it features the offshore coastal barrier islands that once protected the coast of Lincolnshire, before their probable destruction by the sea in the thirteenth century. 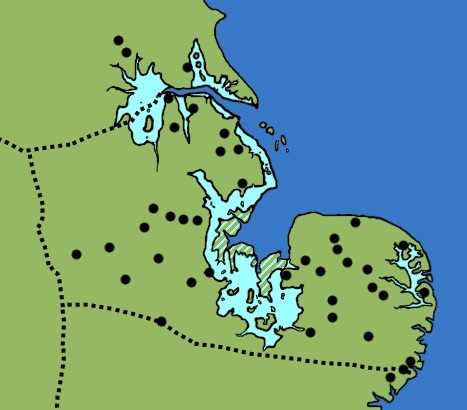 (3) It also depicts the post-Roman wetlands in the Fenland, the Humber Wetlands, the Lincolnshire Marsh and the Norfolk Broadland (the latter had probably largely become wetland—rather than estuary—by c. AD 500, aside from in Breydon Water). 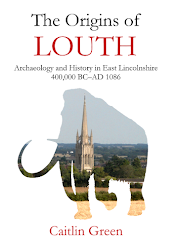 (4) And, finally, it features an adjusted eastern sea coast that takes account of erosion and coastal change in Holderness, the Wash area and East Anglia since the early medieval period. (5) Needless to say, the resultant map offers a rather different view of post-Roman eastern Britain and will form the base map for any future posts that look at this region in that period. 1 The map included here was published in Green, Britons and Anglo-Saxons: Lincolnshire AD 400–650 (Lincoln, 2012), as fig. 21a (the other image mentioned was published as fig. 21b in the same volume), which also discusses its sources and implications in more depth at pp. 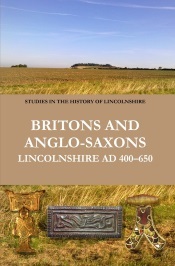 93–5, 113, 152; further details of Britons and Anglo-Saxons are available here. 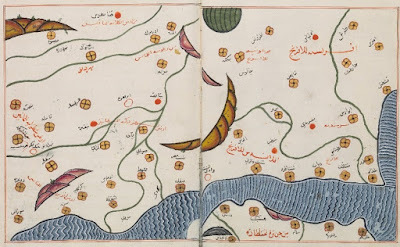 The map reproduced here has also been used, with permission, by N. J. Higham & M. Ryan, The Anglo-Saxon World (New Haven & London, 2013), as their fig. 2.27a. The depiction of the Late Roman provinces on this map and the following one is after J. C. Mann's important article, 'The creation of four provinces in Britain by Diocletian', Britannia, 29 (1998), 339–41. 2 See further on all of this Green, Britons and Anglo-Saxons, pp. 93–5, 113, 152, and also B. Yorke, 'Anglo-Saxon gentes and regna' in H-W. Goetz et al (eds), Regna and Gentes: The Relationship Between Late Antique and Early Medieval Peoples and Kingdoms in the Transformation of the Roman World (Leiden, 2003), pp. 381–408 at 397–9. 3 These coastal barrier islands were first suggested by H. H. Swinnerton, 'The post-glacial deposits of the Lincolnshire coast', Quarterly Journal of the Geological Society, 87 (1931), 360–75. See also D. N. Robinson, The Book of the Lincolnshire Seaside (Buckingham, 1981), pp. 13, 17 (map), 20; Institute of Estuarine and Coastal Studies, Humber Estuary & Coast (Hull, 1994), p. 33; and Natural England, NA 101: Bridlington to Skegness Maritime Natural Area Profile (Sheffield, 2013), pp. 11, 21. 4 For example, A. Crowson et al (eds), Anglo-Saxon Settlement on the Siltland of Eastern England (Heckington, 2005); R. Van der Noort, The Humber Wetlands: The Archaeology of a Dynamic Landscape (Macclesfield, 2004); R. Van der Noort, 'Where are Yorkshire's "terps"? Wetland exploitation in the early medieval period', in H. Geake & J. Kenny (eds) Early Deira: Archaeological Studies of the East Riding in the Fourth to Ninth Centuries AD (Oxford, 2000), pp. 121–31; H. Fenwick, The Lincolnshire Marsh: Landscape Evolution, Settlement Development and the Salt Industry (PhD Thesis, University of Hull, 2007); J. Albone et al, The Archaeology of Norfolk’s Broads Zone: Results of the National Mapping Programme (Dereham, 2007), pp. 5–6; B. P. L. Coles & B. M. Funnell, 'Holocene paleoenvironments of Broadland, England' in S.-D. Nio et al (eds), Holocene marine sedimentation in the North Sea Basin: Special Publications of the International Association of Sedimentologists (Oxford, 1981), pp. 123–31; J. Peterson, 'Some new aspects of Roman Broadland', The Annual: The Bulletin of the Norfolk Archaeological and Historical Research Group, 16 (2007), 23-35. 5 See, for example, N. G. Berridge and J. Pattison, Geology of the Country Around Grimsby and Patrington (London, 1994), p. 64; T. Sheppard, The Lost Towns of the Yorkshire Coast (London, 1912); Crowson et al, Anglo-Saxon Settlement, p. 5; Peterson, 'Roman Broadland', p. 23; K. Pye & S. J. Blott, 'Coastal Processes and Morphological Change in the Dunwich-Sizewell Area, Suffolk, UK', Journal of Coastal Research, 223 (2006), 453–73.